Account Sign In Created with Sketch. No products yet. Enjoy shopping! Model measurements: Height: 5'9", Hips: 41.5", Waist: 29", Chest: 35", Inseam: 30”, Sleeve length: 23.5”, Shoulders 17.5"
We’re excited to send you beautiful items you love to wear! U.S. orders: Most orders shipping within the United States arrive within 4-7 business days of your order date. International orders: If your order is shipping outside of the United States, please allow up to 4 weeks for delivery. International orders may be limited to only certain countries and will be shipped by the lowest international cost. You are responsible for duties, taxes, and other required costs. Shipping charges: Charges are based on shipping weight of each product and for delivery to your address, as established by UPS and USPS Priority Mail. Most orders take 1-2 business days to process before you can make use of your order’s tracking number. For further questions, please contact us at support@liveyourtruth.com. 1. Determine your skin undertone: yellow, red or neutral. See descriptions below. 2. Now determine your skin shade. See descriptions below. 3. 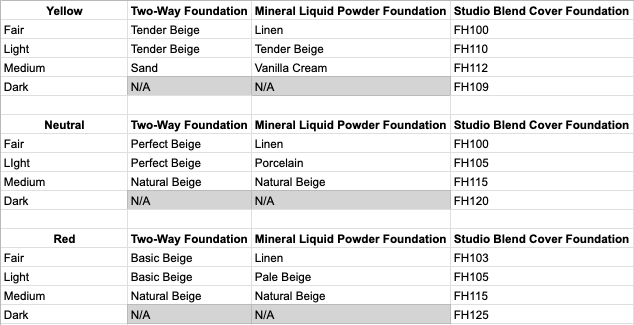 Select the foundation formula you would like and you will find the right color listed below. To determine your skin undertone, look at the veins on the back of your wrist. To see the color best, stand under a bright light or in natural daylight. Yellow: If you have yellow undertones the veins in your wrist will appear more green. Red: If you have red undertones the veins in your wrist will appear more blue. Neutral: If you have mixed red and yellow undertones the veins in your wrist will be a mix between blue and green. Fair: Your skin burns easily in the sun, and your veins are easily seen through your skin. Light: Your skin tends to burn and then tan. You might appear pale in winter and have a warm glow in summer. Medium: Your skin tone is neither pale nor dark and your skin usually tans after spending time in the sun. 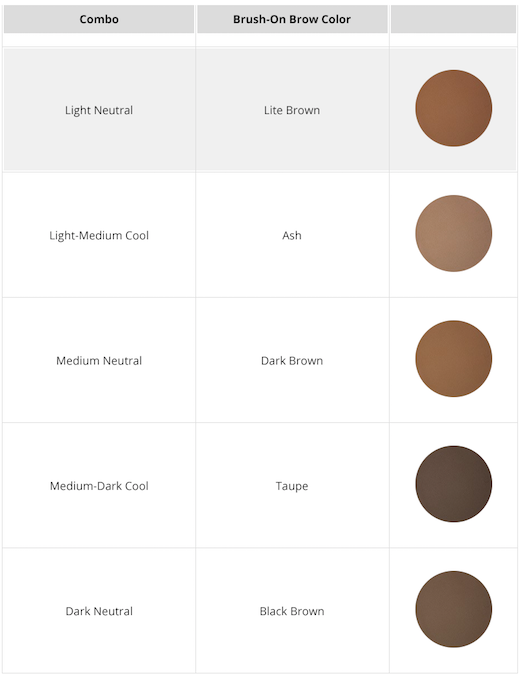 Medium Dark: You tan easily and rarely sunburn—or your skins naturally darker pigment appears to be tan. Dark: Your skin color is noticeably dark, your skin tans easily and almost never sunburns. Very Dark: Your skin color is noticeably dark, your skin tans easily and almost never sunburns. 1. Determine if you have LIGHT, MEDIUM, or DARK hair. For best results, look for a color that is closest to your natural eyebrow color (unless coloring over gray, in which case, match to your dyed hair color). You can also match to the roots of your hair. * Not all shades have a cool or warm option available. As neutral is available in all shades, you can substitute a neutral option if needed.